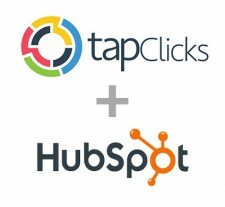 SAN JOSE, Calif., September 4, 2018	(Newswire.com) - Today, TapClicks announced that it has joined HubSpot as a Connect Beta Integrator. HubSpot, a leading growth platform, works with Connect Integrators to help grow their business through listing and marketing and distribution resources to increase shared customers. Connect Beta Integrators are independent software vendors who have built an integration with HubSpot and been accepted to the Connect Beta Program. HubSpot’s Connect Program is an ecosystem of valuable third-party integrations. Certified Partners comply with a set of requirements. With TapClicks’s HubSpot integration, joint and prospective clients can easily pull relevant Email Campaigns, Form Data, Hosted Content, Landing Page, and Marketing Analytics right into the TapClicks platform, for use within their campaign, workflow, and reporting processes. The TapClicks platform is robust and flexible, making it easy to put the marketing data within HubSpot to work. HubSpot and TapClicks both have a focus on Agencies and SMB marketers which makes the TapClicks integration with HubSpot extremely valuable to shared clients. HubSpot customers can now aggregate campaign data from all of HubSpot’s marketing products along with data from 193 other mar-tech and ad-tech platforms instantly into TapClicks omnichannel reports and workflow. Agencies and SMB marketers can effectively optimize their campaigns, scale their business, differentiate their services and save time in operations and reporting activities. They can easily prove the ROI on their marketing programs and grow their business. HubSpot is a leader in the inbound marketing and sales movement and they are a critical partner to TapClicks's strategy of delivering all marketing data within one scalable analytics and reporting platform. 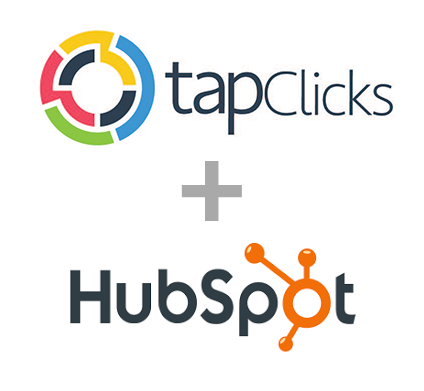 “HubSpot is a leader in the inbound marketing and sales movement, and they are a critical partner to TapClicks’s strategy of delivering all marketing data within one scalable analytics and reporting platform,” said Babak Hedayati, CEO, TapClicks. “Hundreds of HubSpot customers wanted us to unify their HubSpot data with Display Ad, Call Tracking, SEM, Social, Programmatic, SEO and Video data to create a unified dashboard for their clients. We are thrilled to take our partnership to the next level with Hubspot,” Hedayati added. TapClicks, Inc. is the leading marketing performance platform for digital and media agencies and their SMB, B2B and brand clients. Its pre-integrated, unified platform includes agency orders, marketing workflow, performance analytics, client reporting, and data — centralized across a wide range of marketing and advertising tools. TapClicks’s unified platform is used by over 3,500 digital and media agencies that serve over 100,000 clients – the highest of any SaaS vendor. TapClicks has a broad global footprint in San Jose (CA), Nashville (TN), Boston (MA), Montreal (Canada), New York City (NY), Bogota (Columbia) and Pune (India). TapClicks has been recognized by distinguished industry organizations, such as being shortlisted for the 2018 SaaS Awards in three categories (i.e., Best SaaS Product for Business Intelligence or Analytics, Best UX/UI/Design in a SaaS Product, Best SaaS Product for Sales/ Marketing), 2018 MITX Best Technology Award, StreetFight’s “Best Dashboard for managing Local Campaigns” Local Visionary Award 2018, and #1 Spot for the Fastest Growing Company in Silicon Valley based on the 2017 Inc. 5000 List. HubSpot is a leading growth platform. Since 2006, HubSpot has been on a mission to make the world more inbound. Today, over 44,500 total customers in more than 100 countries use HubSpot’s award-winning software, services, and support to transform the way they attract, engage, and delight customers. Comprised of Marketing Hub, Sales Hub, Service Hub, and a powerful free CRM, HubSpot gives companies the tools they need to manage the customer experience from awareness to advocacy. HubSpot has been named a top place to work by Glassdoor, Fortune, The Boston Globe, and The Boston Business Journal. The company is headquartered in Cambridge, MA with offices in Dublin, Ireland (EMEA HQ); Singapore (APAC HQ); Sydney, Australia; Tokyo, Japan; Berlin, Germany; and Portsmouth, NH. Learn more at www.hubspot.com. We're a global leader in marketing technology for agencies, media companies, brands and franchises.